AayurMed cultivates, sources, supplies and export Boerhavia Diffusa (Punarnava) for last 30 years across the globe. Our Boerhavia Diffusa (Punarnava)is used for various medical and cosmatics purpose. We are offering Punarnava Flower to our clients. 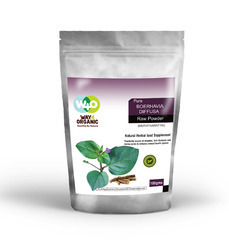 These are highly acclaimed in the industry over other herbs due to their purity, highly effective nature and optimum quality. These are also available in the market at affordable price. Boerhaavia diffusa is a prostrate creeping herb with reddish branches and a deep tap root. The plant proliferates after the rains. It has good rejuvenative properties and is used to cure jaundice. It is a liver tonic and is recommended in various liver and spleen disorders. Boerhaavia Diffusa helps in curing Anaemia, inflammations, heart diseases, asthma. Helps in maintaining the functioning of the kidney. Maintains health of the urinary tract. It helps in improving the liver functioning and also the respiratory health. It the best known natural treatment for curing the problem of weight loss. 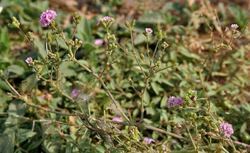 Boerhavia diffusa is a species of flowering plant in the four o'clock family which is commonly known as punarnava (meaning that which rejuvenates or renews the body in Ayurveda), red spiderling, spreading hogweed, or tarvine. It is taken in herbal medicine for pain relief and other uses. Owing to our in-depth knowledge in this domain, we are specialized in providing Punarnava Roots. We are engaged in offering Punarnava Powder.